Blinders portrays a beautiful relationship between a former slave couple, their love for a boy who wanders onto their farm, and the redeeming forgiveness of the heavenly Father. In this inspirational novel, Eugene, an eleven-year-old boy growing up in Kentucky in 1912, is drawn to a light in the distance that compels him to run away from his abusive stepfather. He is led to the farm of Franklin and Rachel Hawkins, who live in a rundown house built on top of a cave, yet with magnificent thoroughbred horses grazing in their bluegrass pasture. Eugene is adopted into the family, and as he grows up, gradually discovers secrets from the past that keep Franklin and Rachel isolated on their remote farm. Eugene is severely tested when he is seized from the farm at the age of sixteen and forced into the Great War now raging in France. He embarks on a dangerous journey that will put his life and faith to the test. When he returns two years later as a man, his only hope is to give his incredible burden of guilt to the One who can save him, and allow a mother's unconditional love to help him fulfill his destiny. Kristy Shelton spent her Oklahoma childhood riding horses, exploring, and playing sports and the piano. Reared in a strong Christian family, she enjoyed long family vacations and listening to stories told by her parents and grandparents. 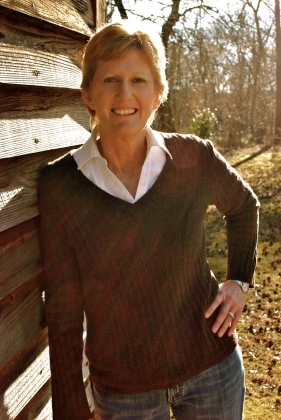 She and her husband Cliff now live in Georgia where they have been teaching and coaching at Greater Atlanta Christian School since 1982. Kristy considers teaching elementary physical education a ministry, as well as coaching the varsity volleyball team and leading an annual high school mission trip to Honduras. The Sheltons have two children, Ty and Alex, who are currently in college. In her spare time Kristy enjoys reading, hiking, and taking walks with Cliff and their four-legged child, Boomer. 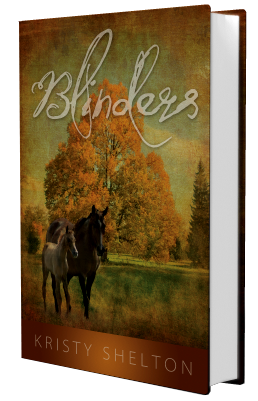 Blinders is Kristy’s first novel and she gives God all the glory for guiding her through this incredible writing adventure.